A Turkish man, claimed to be a teacher with an outstanding arrest warrant over his links to the Gulen movement, has died during his long overdue treatment at hospital while his wife has been reportedly detained at the funeral. 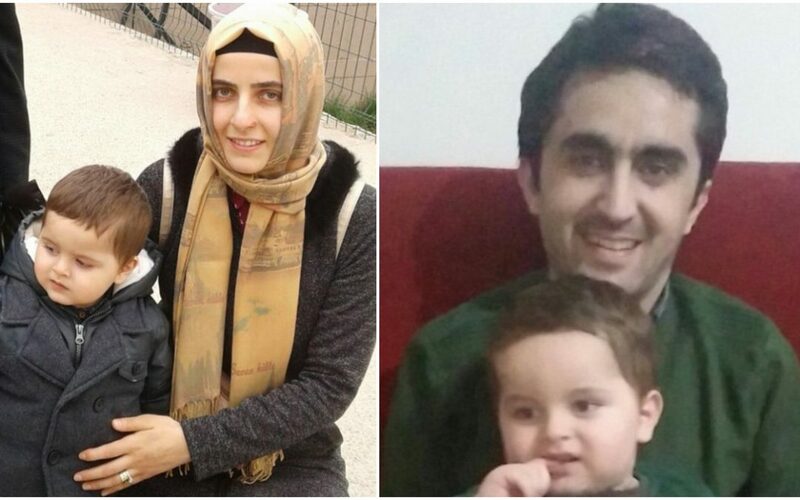 Several social media accounts claimed Sunday that Esra Celik was detained during the funeral of her 30-year-old husband Mehmet Celik who had a lung problem but was unable to seek medical treatment due to the arrest warrant. When he ended up going to hospital for treatment, it was so late for a recovery that he passed away during the surgery. On Sunday, Mrs Celik was detained during her husband’s funeral in Hatay and was taken to 1000-km-away Manisa province where the investigation against her was originated. The accusations against Mrs Celik were unknown at the time of writing. Turkey Purge has yet to confirm the authenticity of the claims while several sources including an allegedly close friend of Mr Celik remarked to back them up. “They first left my beloved friend to social death. He failed to recover from his illness and passed away. …He hide himself to escape from the persecution for 2 years. He was not even able to take his medicines during this period,” Celik’s friend tweeted. The only person left behind from Celik family is the couple’s 2-year-old son named Yusuf Kemal. “The detention at a cemetery and a 2-year-old child that was left all alone. They know no boundaries in cruelty. There is no word to speak in the face of such incidents. Heart-wrenching,” Omer Faruk Gergerlioglu, a medical doctor, a rights defender and a Peoples’ Democratic Party (HDP) candidate for the upcoming parliamentary election tweeted. Turkish government accuses Gulen movement for the July 15, 2016 failed coup while the latter denies involvement. More than 160,000 people have been detained and 90,000 have been put in pre-trial detention over Gulen links since the summer of 2016. Thousands of others have been reportedly hiding to escape what many now call the government’s post-coup witch-hunt. Meanwhile, dozens of people were earlier detained when law enforcement failed to locate their family members implicated in Gulen investigations.